Ailsa’s over at Where’s My Backpack has chosen “time” for her travel theme. 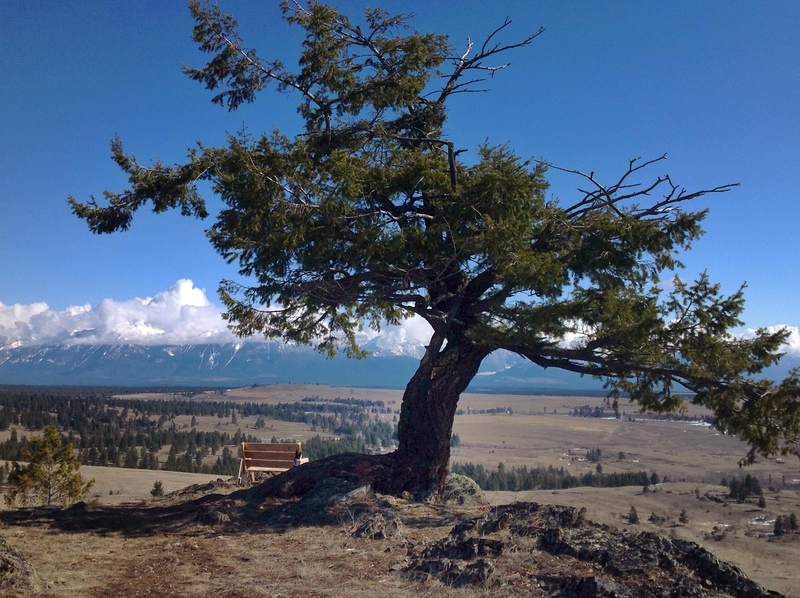 When I climb the hill to the top of the butte, this tree and bench say it is time to sit and rest a while, admire the beauty of the mountains, listen to the wind whisper through the trees and the call of the birds flying overhead. Being fully present at that moment in time. This entry was posted in Challenges, Deep thoughts, Finding Joy, Hiking, ipad, Out My Backdoor, Phonegraphy, Photography, Play and tagged BC, camera, East Kootenays, fun, happiness, ipad, joy, Nature, Out My Backyard, Phoneography, Photography, postaday, Where's My Backpack. Bookmark the permalink.